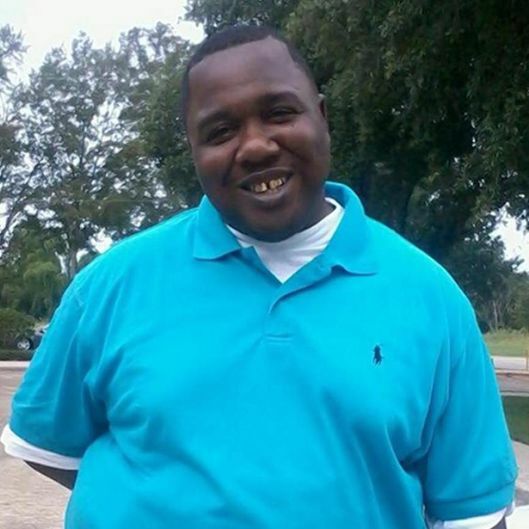 Alton Sterling was a 37-year-old Black father of five selling CDs outside of a local store in Baton Rouge, Louisiana. He did not deserve to die. Yet here we are again. Another Black man slain by police. Another hashtag carrying the fury and pain of his community. And another family deep in mourning--in the same state that passed the 'Blue Lives Matter' bill to silence protests against police violence. On Tuesday night, Alton Sterling was selling CDs outside a local store, like he always does, when police arrived on the scene. The police tased him, held him down on the ground, and shot him in the chest and back. In the witness-recorded video, you can hear one of the officers shouting "If you f---ing move, I swear to God!" These officers have no respect for Black life, and must be held accountable. News just broke that the FBI and the Department of Justice Civil Rights Division will be leading an independent investigation into his murder--and we have to keep up the pressure until they deliver accountability. Will you sign the petition demanding the Department of Justice bring charges against the two officers that killed Alton Sterling? I am writing to urge you and the Department of Justice to bring charges against the Baton Rouge police officers who killed Alton Sterling. Over and over again, we have been forced to witness the killings of Black people on video without any accountability. Local prosecutors have proven to be almost completely opposed to bringing charges against police. Now that the Department of Justice is leading the investigation, you have the authority to swiftly resolve this tragedy by prosecuting the officers who treated Alton Sterlings life with such disregard.